The Network and Traffic Generator and Monitor was designed to generate and monitor IP/ICMP/TCP/UDP traffic from clients to servers to stress test routers, servers and firewalls under extreme network loads. It is a very simple and fast program which can emulate true client/server activity. 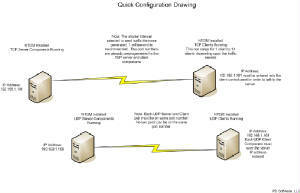 This application has the ability to monitor almost every aspect of network/server activities while generating traffic. Many different graphs and statistics are available. NTGM one of the industry's leading test tool for emulating real-world applications to predict device and system performance under realistic and unrealistic load conditions. · Each Installation of NTGM provides the use of 20 TCPIP Servers, 20 TCPIP Clients. · Included in each NTGM installation, are 20 UDP Generators, 20 UDP Clients, and a ICMP Ping Utility where many instances can be started. · Each installation also includes the Network Traffic Monitor. · All components can be run in automatic mode, meaning set the auto send configuration to 1 to 60000 Milliseconds on any of the clients. Network Probe - Network monitor and protocol analyzer. Unbelievable tool to identify almost any specific network traffic including peer to peer applications and instant messaging software. Filter by hosts per protocol. You will be surprised at the traffic types on your network. Documentation will be updated as time permits.